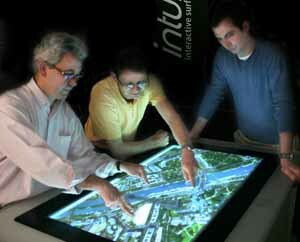 - Art work uses tables fitted with various sensing and actuating systems. Here the Intuiface table. - In interaction design see [Janet Murray] (multitouch and object-oriented programming). - Kind of small portable computer. 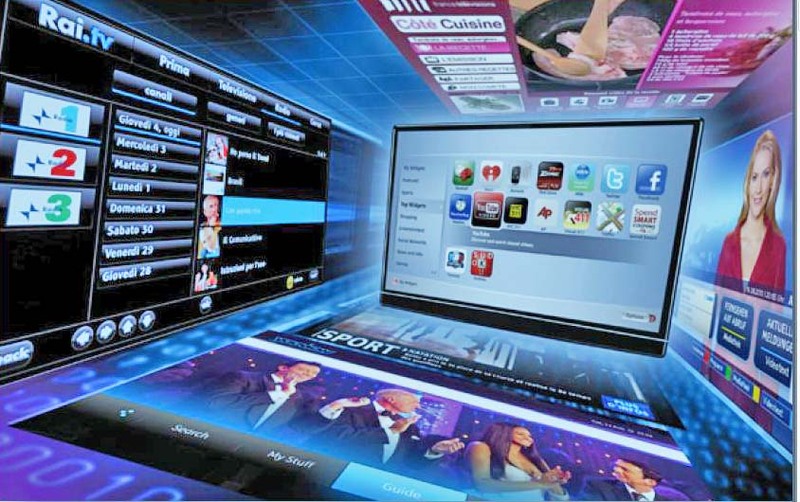 - An important facet of transmedia. A lot in Digital Storytelling. A creator's guide to interacdtive entertainment. [Miller, 2014]. - Some artists are doing a lot of painting on this environment. - Graphic tablet. This device is more efficient than the mouse when some precision in moves is of importance. - Notes in ([Greene] pp. 120-121 . More in French. Tactile. Sensitive to touch (e.g. screen). See Interactivity. - Image tagging, see annotation. - Tatouage de documents audiovisuels numériques, edited by F. Davoine and S. Pateux. Hermès/Lavoisier 2004. SH No 31 (concepts). - Interview of Henri Maître AH No 92. Technology. The state of technologies is important for art evolution. - Art by telephone. Connectez-vous (A Fred Forest action, within Art Côte d'Azur, from March 9 to April 20, 2011). - Terrains are modeled as landscape elements. - Note: tetrahedrons do not tessellate the 3D space. - Graphism. [Ebert] is the "summa" of this domain. - Texture synthesis and evolutionary computing (by Craig Reynolds). - Programming: [Cocquerez], [Foley], [Gonzalez]. Text is the heart of language and more generally of information. Texturology. A theory by Patrick Saint-Jean. AH No 33. - [Cocquerez], [Gonzalez]. Thickening a line is not difficult... unless if you want to get a pleasant result. - [Bres] Thinning and thickening for a better image analysis. [Cocquerez]. 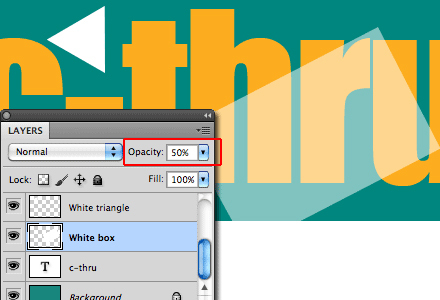 - Thinning of a line is more difficult that its thickening, if you want to keep it continuous. Third Culture. An expression defined by Kevin Kelly, journalist for Wired, in Science 279 (1998). - The definition is developed by John Brockman, The Third Culture: Beyond the Scientific Revolution, Simon & Schuster: 1995. - Has inspired 3D light art, such as Nova, by ETH Zurich. See description in [Adams]. - It may be applied to any kind of signal. In art, mainly to image and sound. Il may be a nuisance (generally, in music or photography), or searched for as a stylistic effect (mainly image). Applied to the color scale of an image, multiple thresholding is called posterization. 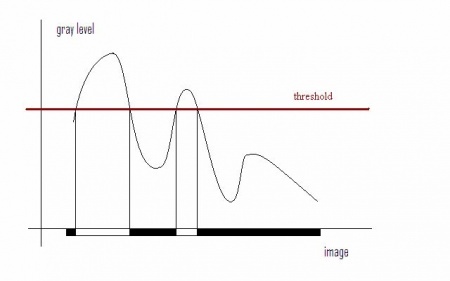 - A basic method to digitizing a continuous input signal, with a succession (ramp) of thresholding levels. - Images [Cocquerez], [Gonzalez], [Processing]. - 40 pages abtout plane tiling and 32 pages about sphere equipartion in Terracol, with illustrated examples in architecture. - interview of Sylvain Marchand AH No 60. - Graphics See color, [Photoshop]. Examples in [Roxame]: blue toning, bister toning. - Tone shading. A not photorealistic technique, use mainly in illustration. See the IEEE tutorial. Tool. See special notice . - Computational Topology in Image Context by Massimo Ferri, Patrizio Frosini, Claudia Landi, Andrea Cerri, Barbara Fabio.Lecture Notes in Computer Science. Volume 7309. Springer c. 2012. - (Turtle) Graphical models for plant or textures building. [Ebert]. - Small robots for drawing, after Grey Walter works, in the 1940's. They contributed to the birth and celebrity of Logo programming language. Harold Cohen describes the way he uses them in his 1979 paper What is an image? Total (Art). From the German Gesamtkunstwerke. Wagner was the first to embody the concept. Wikipedia. - Quoted by [Berger-Lioret] p. 45, 87. - Some notes. But see mainly transmedia. < Scans et retouche d'image. by Kerstin Eisenkolb and Helge Weickardt. Micro-application 1997. < Retouche photo, ou l'art de ne pas aller trop loin, in Créanum, July-August 2010. < La retouche en continuité de la photo, a set of papers in Créanum April-May 2011. < La retouche beauté avec Photoshop, by Stéphane Lim and Yves Chatain. Paris, Eyrolles (?) 2010. Tourism. Take the opportunity of your travels, professional or leisure, to visit the local digital art resources. See our geographical guide. - Music: a simplified synthesizer . (Daniel Ichbiah, in Sonar Cakewalk 2.0. Campus Press 2002). 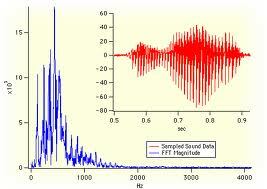 The Fourier transform, according to Wavemetrics. - Programming: [Foley], [Gonzalez], [Processing]. - Rule transgression is a powerful artistic method. See notably A linguistic guide to English poetry by Geoffrey Leech (Longman 1969). - Notes on "Programming the transgression"
-The Transhuman Story: our View. Translation. Algorithms in [Gonzalez], [Processing]. Transliteracy. A form of transmedia. < Transliteracy and New Media, by Sue Thomas, in [Adams]. - An important and difficult aspect of skin rendering. - See long notes about this term. - See our special notice. Transparency, hide and display. - Technically: Alpha layer. [Foley], [Flash], [Photoshop]. - Programming [Gonzalez], [Seul], [Ebert], [Java], [Processing]. - There are sophisticated algorithms to skim throug trees, search into them. - [Agoston] ,[Cocquerez], [Zomorodian] [Foley] [Processing]. 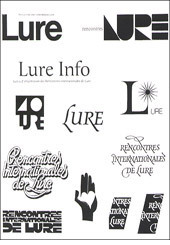 A document out of Rencontres de Lure, a classical meeting of French typography fans. Turbulence. A kind of structure, even if is highly stochastic! < Twitterbots, making machines that make meaning , by Tony Veale andMike Cook (MIT Press, 2018. 352 pages, small font). The first part of the book is a general presenation, with a lot of aesthetic considerarions. The rest is a practical guide to twitterbot development. Two citations from the first part. - Twitterbots are really creaive: "On Twitter we call these mechanical generators of content « Twitterbots », for (ro)bots that have been designed to operate their own Twitter account. But art these bots capable of the same kind of educated insolence that we see humans produce on twitter ? Are they capable of generating messages with the same double-edged cleverness and elegant concision as … Benchley’s « Streets filled with water. Please advice » (NB : c’es un journaliste qui vient d’arriver à Venise et envoie un télégramme à sa rédaction vers 1845). The answer to each of these questions is a qualified yes. "Whether our Twitterbots are genuinely creative in their own right, or merely showcases for the metacreativity of their creators, is a question we leave to our readers to answer themselves". - and transmedia, see [Rose], the chapter "Twitter and nothingness", pp. 199-220, and [Bernardo] p. 101. Typewriter art. see special notice. Typographer, typography . See calligraphy. - Index of calligraphy and typography artists quoted in diccan. > Meek FM (2007à is s a collaboration between Meek Design and Frank Müller from United States Of Design. It is a typographic machine combined with sounds. 2 pages in [Klanten]. - Generative Typografie Seminar (2008). - Atelier Müesli (Mytil Ducornet and Léa Chapon). Typographic creation. Presented in Advanced Creation, 3/2011. < La fontaine aux lettres, by Joep Pohier. Taschen 2011. - Interview of Jacques André SH No 48. < François Boltana & la naissance de la typographie numérique. by Frank Adebiaye & Suzanne Cardinal. Atelier. Perousseaux 2011. 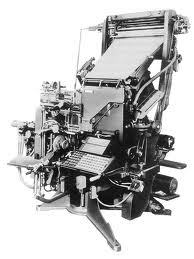 < Typographie et programmation. Note by Michel Volle AH No 82 (concepts). < Code typographique. Syndicat du livre, Paris. < Musique typographique. Manuel de typographie musicale, by Théophile Beaudoire, Paris 1891. - (History) Typographes des lumières, by Philippe Minard, Champ Vallon 1989. - Just for pleasure, a text by Antoine Firmin Didot, 1955. Is it, or how far is it possible and useful to draw typologies of arts and works of arts? - It is possible as soon as one identify a definite feature with several different values. - It is a useful aid to find one's way into the ever more rapidly growing mass of artists and art works. It is also a basis for ranking. A first typology is the distinction between different categories of arts or artists. We have done that for all the artists present in diccan, and you can see the result in our specialty index. We project to refine it progressively, with a more multi-dimensional characterisation. For example, today (May 2013), we have categories as "interaction". In fact, today, a lot of works become interactive, be they video projections, sculptures or biological. Then we will, some day, put interaction as a feature and not as a category. Note also that typologies are grounded not only in the media used (canvas, screen, paper, physical tri-dimensional objects) but in cultural and professional habits and talents, legal statutes, markets (not to say business models) and political engagements (e.g. tactical media). - cross-media and transmedia open, ever more widely, the combination of different forms of art into "spreadable medias", to use a Jenkin's expression [Jenkins 2013]. Conclusion: use typology as a useful but basically imperfect tool, and above all avoid absolute and "essentialist" art ontologies.